Illinois Ethics Matters is a monthly publication which aims to inform the public, state employees, lawmakers, stakeholders, and the like about activities of the OEIG in a one-page newsletter. Contact information and a calendar of events are also included in each publication. 1. 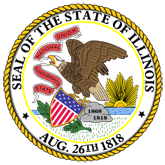 Illinois Ethics Matters-Office of Executive Inspector General (Newsletter_December_18_2018.pdf).